John Sutherland joined the Met Police in 1992, having dreamed of being a police officer since his teens. Rising quickly through the ranks, and compelled by the opportunity to make a real difference in London's local neighbourhoods, he worked across the capital, experiencing firsthand the enormous satisfaction as well as the endless trauma that a life in blue can bring. There were remarkable, career-defining moments: reaching out to teenagers travelling along the wrong path, commanding armed sieges, rescuing victims of domestic violence from desperate situations, saving lives, and seeing dangerous people taken off the streets. But for every case that ended well, there were others that ended in desperate sadness, as he bore the responsibility for the safety of hundreds of thousands of Londoners on his shoulders. In early 2013, whilst working as the Borough Commander for Southwark in South London, John suffered a major breakdown and a consequent battle with crippling depression. After a career spent policing the streets and racing to be first at the scenes of crimes and catastrophes, he found himself in pieces, unable to put one foot in front of the other. 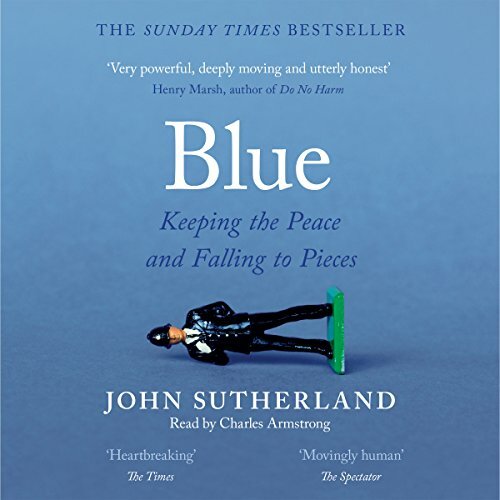 Blue is a memoir of crime and calamity, of adventure and achievement, of friendship and failure, of laughter and loss, of the best and the worst of humanity, of serious illness and slow recovery. It offers an immensely moving and important insight into what it is to be a police officer in 21st-century Britain.